Got a 5 Star review @zillow. Another happy home seller added on my lists! 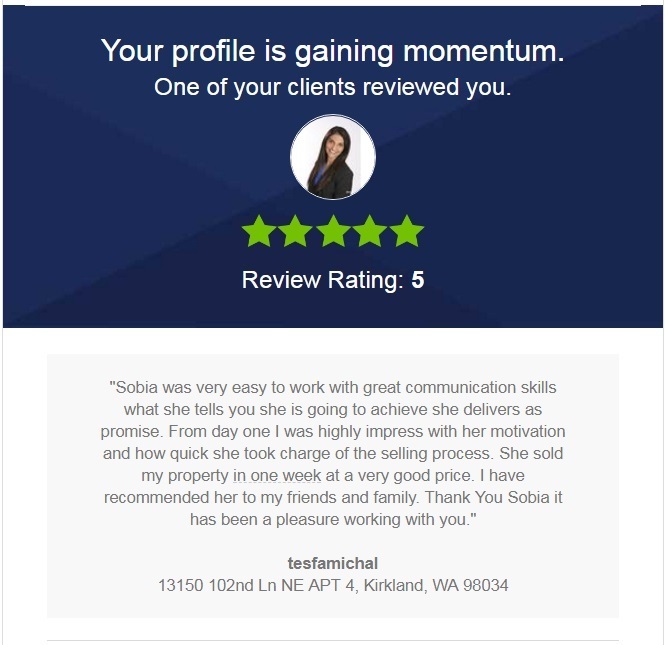 CALL ME 206-427-8517 TODAY. I can sell your HOME FAST & for TOP DOLLARS!! !